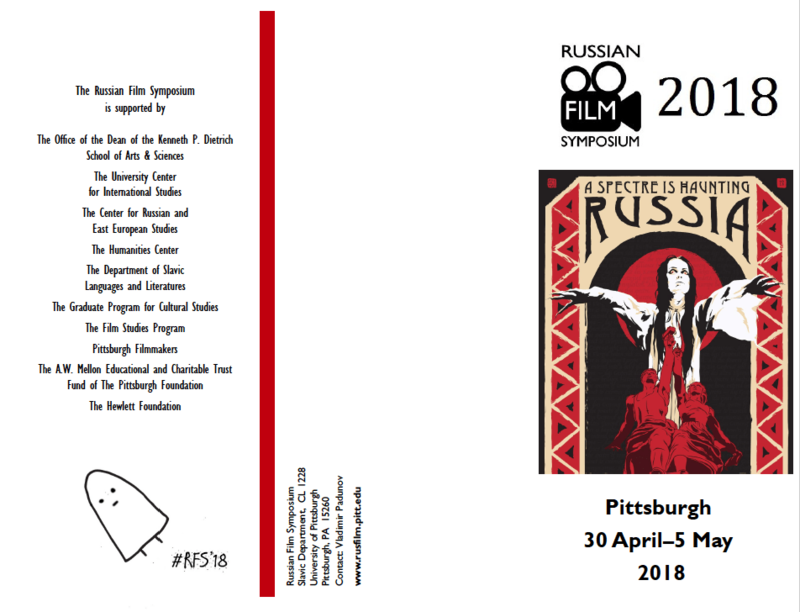 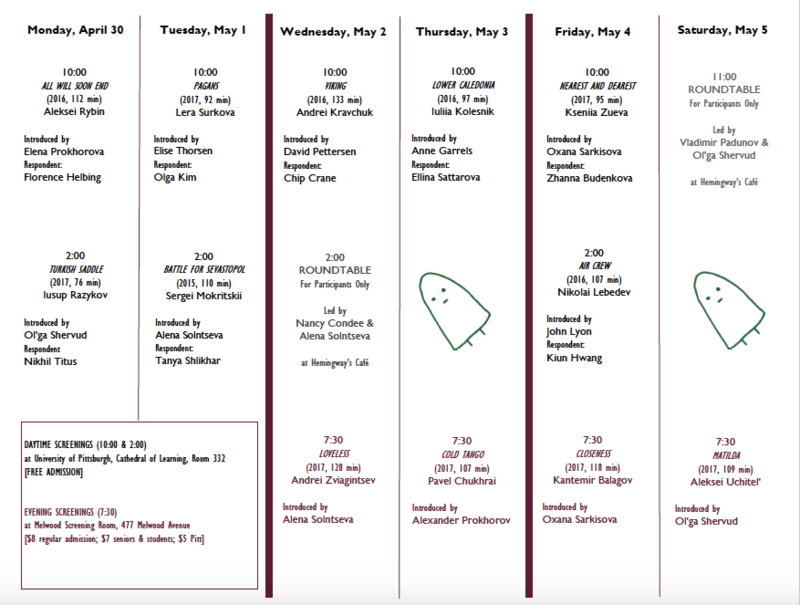 The twentieth annual Russian Film Symposium, “A Spectre is Haunting Russia: History and Cinema,” will be held on the campus of the University of Pittsburgh from Monday 30 April through Saturday 5 May 2018, with evening screenings at the Pittsburgh Filmmakers’ Melwood Screening Room. 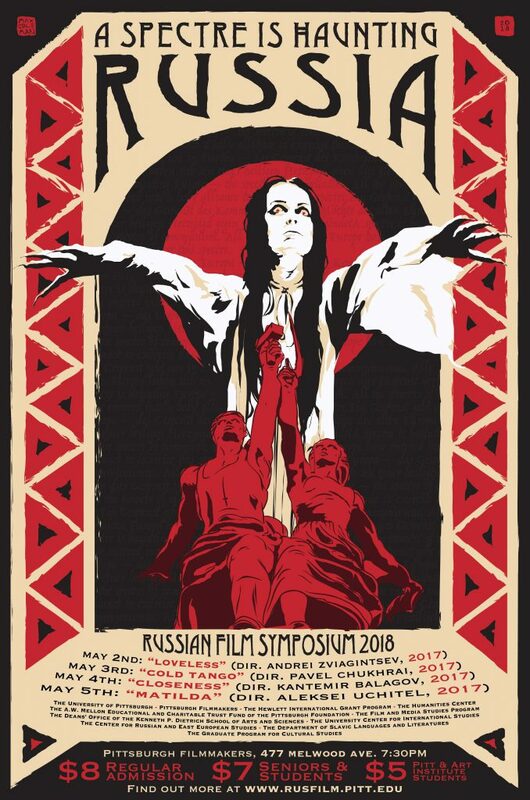 The twentieth annual Russian Film Symposium will examine the Russian state’s revival and imposition of Soviet-era policies, practices, and values. 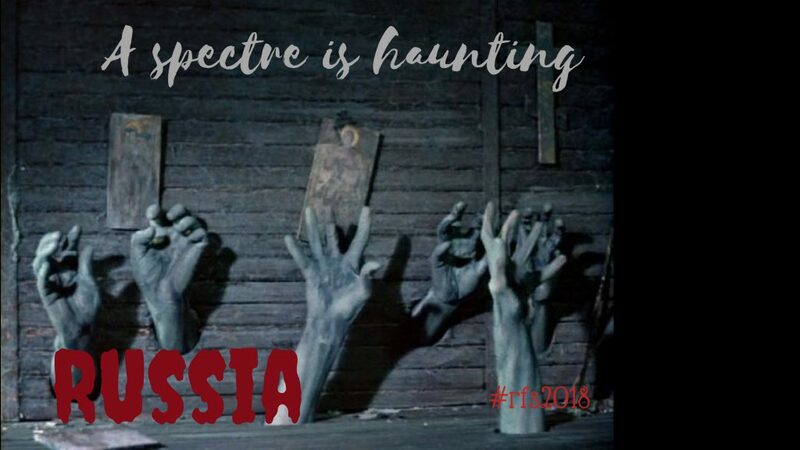 In the 1990s social historians and cultural analysts used to emphasize that Russia was a unique country because it had an unpredictable past, which was constantly being rewritten after the collapse of the Soviet Union and the ensuing flood of information about the seventy-year rule of the communist party. 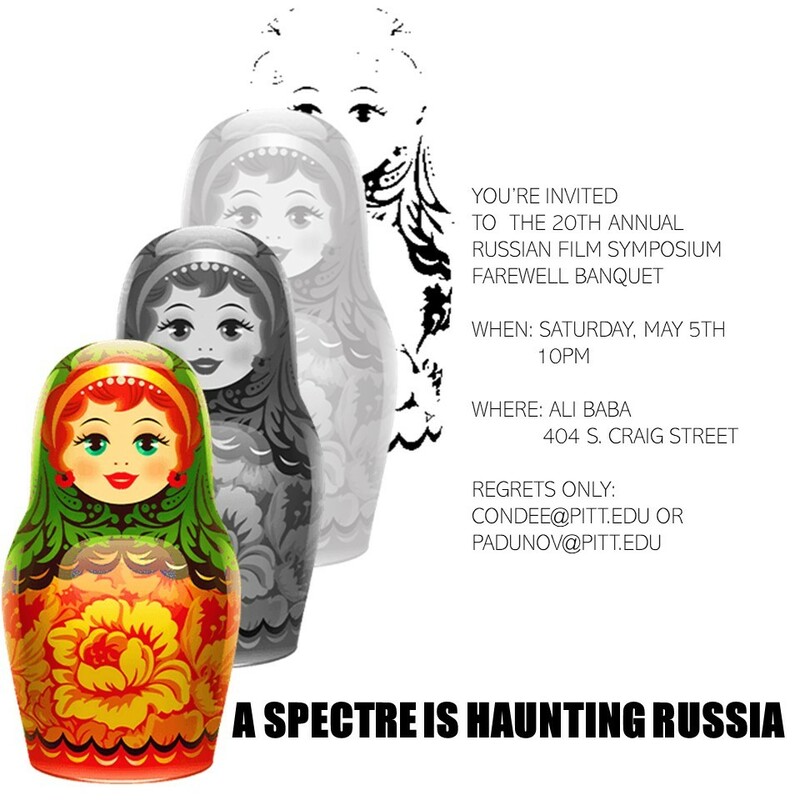 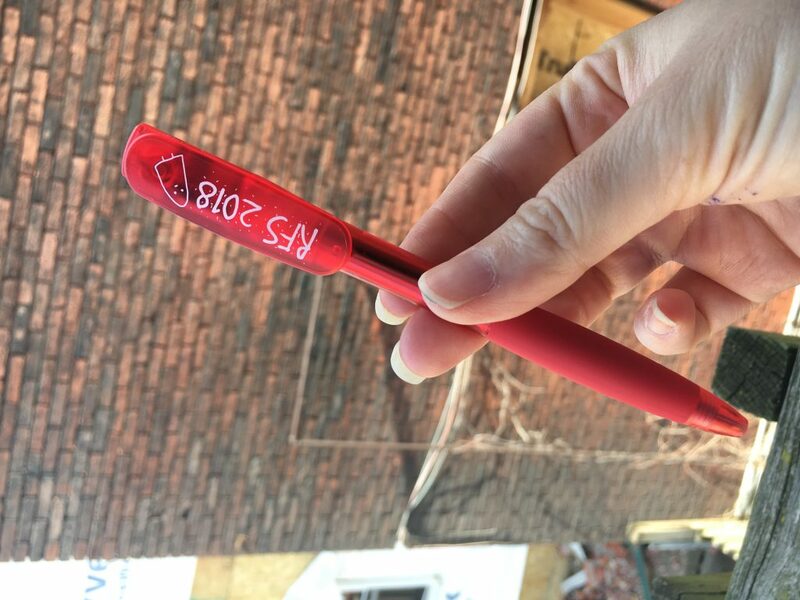 The Putin-era has now officially defined that past and allowed for the re-emergence of numerous features characteristic of the Soviet past, including the sanitization of language (the ban on any use of non-normative lexicon) and the human body (the ban on explicit sexuality), the imposition of hetero-normative sexuality (the ban on homosexuality). 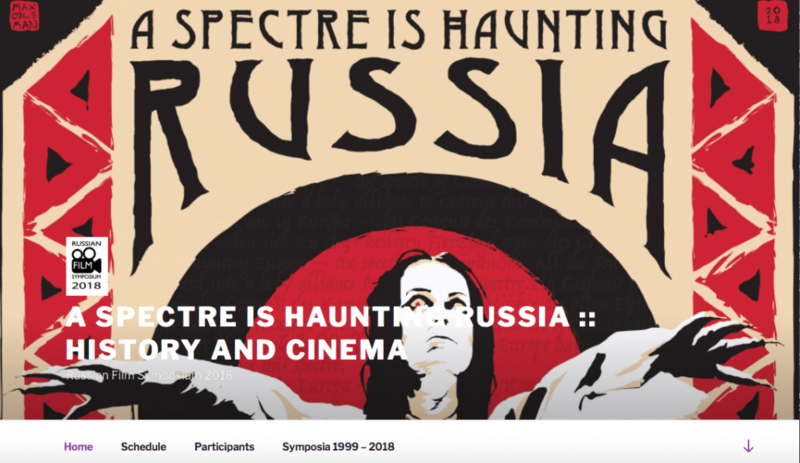 This trend has also had an impact on the Russian film industry, not just in the production, distribution, and exhibition of films, but more tellingly in the ways that films represent contemporary Russian reality. 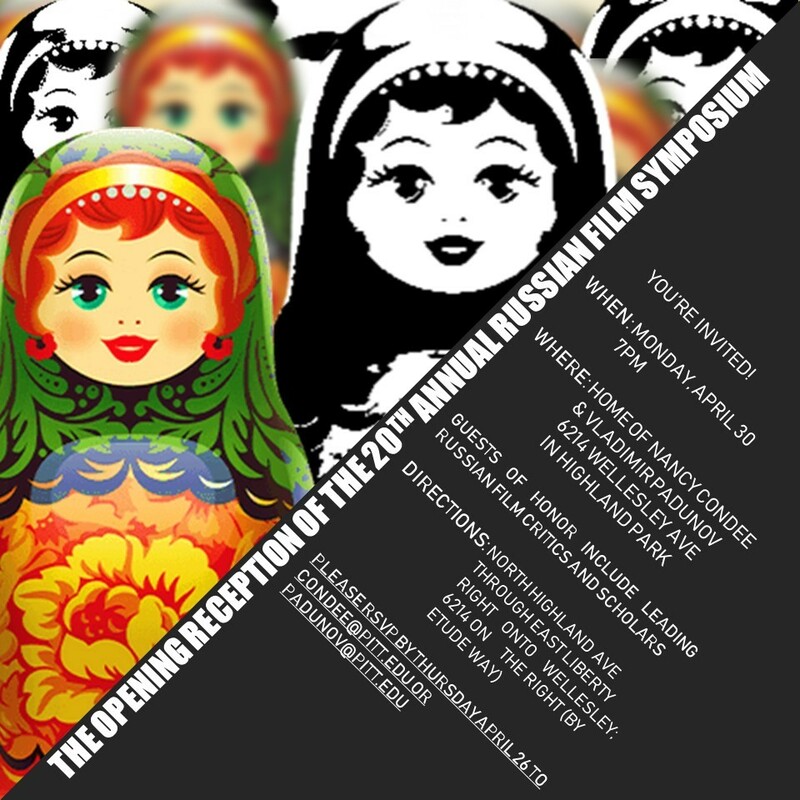 Film scripts are now vetted to insure there are no obscenities and a minimal use of slang, films scheduled for release are banned nation-wide, dialog in films that have already been released is being re-dubbed to cleanse the language (even Zviagintsev’s Leviathan, nominated for the Oscar as Best Foreign Film, had to be re-dubbed before it was allowed to be screened in Russia), a film rating system (much more rigorous than in the US) has been imposed, etc. 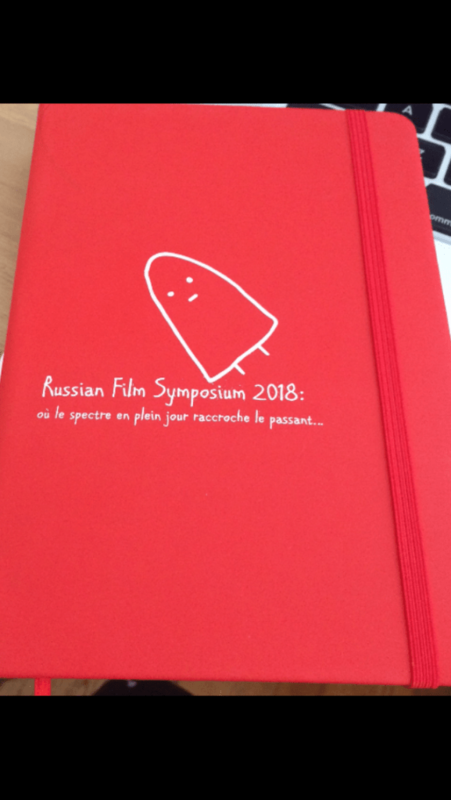 The Symposium will screen twelve films (four in subtitled DCP prints and eight on subtitled DVD), will host eight panels with film scholars from Russia, the UK, and the US, and two roundtables for the participants to continue debating the issues raised during the post-screening discussions at the film panels and to examine the overall topic for that year’s Symposium.